What’s good? Ignoring the name – which sounds like it ought to belong to a low-graphics dungeons and dragons game for the Sinclair Spectrum – this is an excellent helmet. The wide aperture amazed me from the word go – the field of vision is stunning and far broader than the Shoei Raid II I’d been wearing previously. The vents are more effective than the Raid II’s as well with the forehead inlet producing a strong rush of air. Comfort has been excellent so far, I wore the Shoei on a trip from the Midlands down to the West Country and my head felt fine for the entire four-hour foul-weather journey. Other good stuff? The visor change mechanism is a beauty – open a catch and the visor pops in and out with neither fuss nor scary cracking noises. The Qwest is available in a range of colours/graphics in sizes XXS-XXL. What’s not? It’s not cheap at a penny under £340 (especially considering the Raid II is still available for £215). And you need to be sure to fit the Pinlock Anti-Fog insert or the visor will mist in bad weather (this isn’t really a major criticism because the Pinlock is included and, yes, I have now fitted it). Free Arai and Shoei helmets! 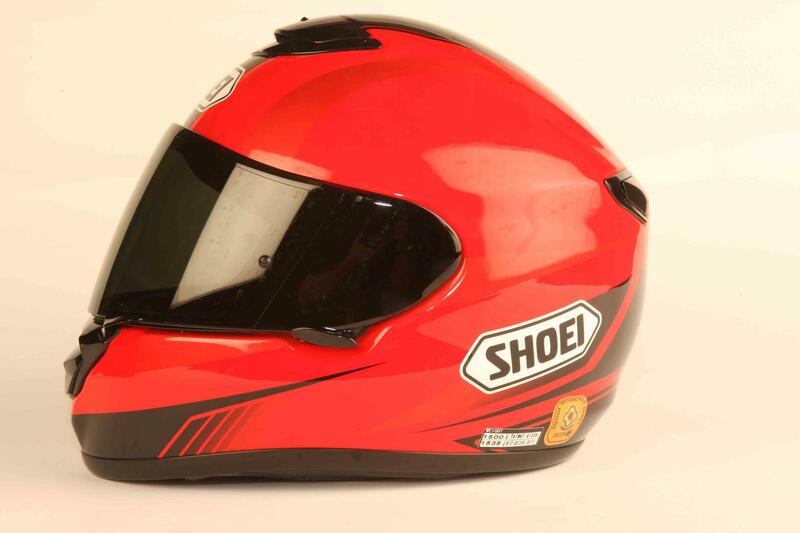 Shoei RYD lands in the UK!